Royalty Core logos add the ultimate touch. Each logo is designed with unreal details as well as 2-tone and airbrushed options to set you apart. They are essential for a custom grille but they can be used for other applications like trailers, side badges, tailgates, wheel caps, shops, signs, big boy toys, and the list goes on. Royalty Core logos are easily switchable and only removable from the backside which protects your investment. 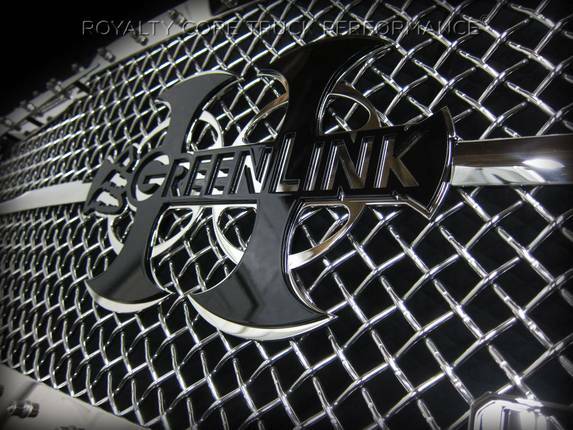 Important Note: If you already have a Royalty Core grille please let us know which grille and mesh you have so we can provide you with a perfect logo fit. When you purchase your logo there is a comments box where you can give specific mounting information if needed. As an upgrade you can customize the size, colors, or have design or text added or removed. Please email or call for a quote if you want to customize this logo.